Philadelphia Phillies at New York Mets - June 25, 1989. The Mets beat the Phillies without recording a single assist on defense. Their 27 outs that day consisted of 13 strikeouts, 12 flyouts, and two unassisted groundouts to the first baseman. It's a holiday weekend but the Northern Alliance Radio Network rolls on. This week's edition of The Closer will kick off, as usual, right at 2:00 PM Central Time. Right at 2:00 I will be joined by Rep. Tony Albright (R-Prior Lake). We'll obviously discuss the end of the latest Minnesota legislative session where Senate Democrats effectively torpedoed a House passed bonding bill (one which had significant bipartisan support) due to no funds for light rail. Said bonding bill had more than ample funding for roads and bridges projects which, for now, will lack the necessary repairs. I will also discuss some big political news from this past week, including the release of a report from the Office of the Inspector General indicating that Hillary Clinton was neither accurate nor forthright regarding her email activity as Secretary of State. I'm still quite skeptical that Hillary Clinton (who will be the Democrat nominee for President) will suffer any significant consequences (from a legal standpoint anyways) over her email debacle. But a recent report put out by the Office of the Inspector General seems to contradict much of what Clinton has been saying regarding her decision to use a private email address (and house the email server) to conduct State Dept. business. Mrs Clinton also indicated that having a personal email was not unprecedented for a Secretary of State. But, again, that's misleading. While it's true that her predecessors used a private email address, they didn't refuse to speak to the IG nor did they keep a private server. She also has continually claimed that she's the only SoS to have turned over all the emails from her tenure. Apparently she's discounting the 31,000 which were deleted off her server in four years. Given that the Justice Dept. is so brazenly partisan, I'm skeptical AG Loretta Lynch will move forward with charges. But no amount of damage control by Clinton is going to assuage existing concerns regarding her trustworthiness. I guess the only question remaining is if GOP presidential hopeful Donald Trump can seize this golden opportunity. Sadly, that's far from a sure thing. ......this is as good as it gets. Death. Taxes. Little Lord Fauntleroy Gov. Mark Dayton coming off as a petulant child. You'll contrast the governor's tone with that of House Speaker Kurt Daudt. While disappointed in the lack of a bonding bill, Daudt could at least laud the successes of this latest legislative session while remaining hopeful transportation funding can still happen. My home state should be embarrassed that someone like Dayton is Minnesota's chief executive. What's most disturbing is that it seems to be the exact opposite given his high approval ratings. A bizzaro world indeed. ....the latest Minnesota legislative session was wrapping up. Since the MN Constitution prohibited legislative business beyond Midnight, May 22, the obligatory last second push was taking place for the most salient issues. In this case, it was transportation. The MN House Republican majority had two non-negotiable items when it came to transportation funding: They insisted on no gas tax increase as well as no funding for Southwest Light Rail Transit. Pioneer Press writer David Montgomery detailed the frenzied final minutes of this session. In the final hour, the House approved a $1 billion borrowing bill that included $236 million in bonding, $266 million in cash and $181 million in trunk highway spending for roads and bridges, according to the House. That bill was dashed over, literally run by a fast staffer, to the Minnesota Senate Building for its approval as midnight approached. But the time to act was too slim and the will to agree was too little. Senate Democrats added an amendment allowing local funding for the Southwest Light Rail project. But the House adjourned for the year before a runner could sprint across University Avenue to the Capitol, where the House meets, with the amended bonding bill. Then the clock in the Senate chamber hit 12: the midnight deadline under the Minnesota Constitution after which no further action could be taken. According to an email from Susan Closmore, Director of Public Affairs with the House GOP caucus, it seems pretty clear the DFL prioritized a metro area choo choo train ahead of the infrastructure needs of greater Minnesota. • $30 million for U.S. Highway 10 Hanson Blvd. to Round Lake Blvd. "Unfortunately, in the final weeks Senate Democrats made a choice to hold funding for our roads and bridges hostage for an expensive train in Minneapolis, and in the final moments of session, sunk a bonding bill that included projects to fix some of Minnesota's most regionally important projects including Highway 14, Highway 10, and Highway 23," concluded Speaker (Kurt) Daudt. Even DFL senator Ron Latz unwittingly indicted his own party for scuttling the bonding bill. Given that both the House and Senate are up for reelection this year, this will absolutely be a central theme of many campaigns, especially among GOP senate candidates in outstate Minnesota looking to unseat incumbent DFLers. Of course there's always a chance that Gov. Mark Dayton will call a special session to resolve this issue, but only if Senate Majority Leader Tom Bakk agrees to drop the idea of SWLRT funding. Otherwise what's the point? I have a feeling Bakk and other representatives of rural areas may well hear from constituents who feel strongly that some of these infrastructure repairs are long past due and need to be addressed immediately. One hopes that cooler heads can prevail and thus realize that safe roads and bridges (as my friend Andy Aplikowski says) should not be a luxury. St Louis Cardinals at Los Angeles Dodgers --- August 10, 1995. Dodger fans received souvenir baseballs when entering the stadium. In the bottom of the ninth, following the ejections of Dodgers OF Raul Mondesi and manager Tommy Lasorda, fans began hurling them onto the field. The umpires awarded a forfeit win to the Cardinals. It's weekends like this that I begin to really lament not being able to broadcast outdoors. Alas, I'll be back in the Patriot bunker for this week's edition of the Northern Alliance Radio Network program The Closer. The 1-hour festivities begin at 2:00 PM Central Time. Right at 2:00 my friend and valued NARN colleague Mitch Berg will check in. Mitch attended the MN State GOP convention in Duluth over the weekend so he'll provide a recap. Other topics I plan on addressing include GOP presidential hopeful Donald Trump naming prospective Supreme Court justices to replace the late Antonin Scalia, the gay pastor-Whole Foods kerfuffle in Austin, TX, a surprising new poll on the popularity of the Washington Redskins nickname, etc. It happened 10 years ago today. I believe Chicago Cubs catcher Michael Barrett embodied the sentiments of pretty much any MLB fan who was partial to a team which didn't have A.J. Pierzynski on it's roster. Heck, you could also include in the anti-A.J. emotion any MLB hitter who stepped into a batter's box while Pierzynski was catching. Ozzie Guillen, Pierzynski's manager while with the Chicago White Sox, summed it up best: "If you play against him, you hate him. If you play with him, you hate him a little less." Upon receiving a 10-game suspension, Barrett should have declared "That was for you, MLB and fans!" Two weeks ago I penned a blog post clarifying my position on Donald Trump as the presumptive GOP nominee for President. As someone who has voted Republican in every election since 1992, I recently found myself seriously considering abstaining from a vote for President if Mr. Trump continued to woefully lack substance. If Trump can actually give me something to work with, I will latch on to it and charge forward. For instance, the Supreme Court seat left vacant due to the death of Antonin Scalia. If Trump were to furnish a list of potential nominees in the motif of Scalia, I'd be sold! Yes, the Supreme Court is that important. And it would also go a long way to emphasizing on how the GOP needs to maintain its majority in the Senate. As of now, Trump being at the top of the ticket has put said majority in jeopardy. On Wednesday, Trump seemed to take a step towards mobilizing conservatives like myself. Today Donald J. Trump released the much-anticipated list of people he would consider as potential replacements for Justice Scalia at the United States Supreme Court. This list was compiled, first and foremost, based on constitutional principles, with input from highly respected conservatives and Republican Party leadership. Click the link here to see list of justices Trump is considering. For me personally, this is the most open minded I've been about Trump's candidacy since he entered the presidential race nearly a year ago. As an added bonus it took the spotlight away from Senate Democrats' dog-and-pony show on behalf of Merrick Garland, who is President Barack Obama's nominee to replace Scalia. Thankfully the GOP majority has stood firm in its commitment to having the next President fill the U.S. Supreme Court vacancy. Next up for Trump is he is scheduled to release a detailed economic plan, one which will includ a vow to repeal the overbearing Dodd-Frank bill. Could we finally be delving into actual substantive issues this presidential campaign? Let's just say I'm cautiously optimistic this will continue. - The story of the gay pastor in Austin, TX claiming to have received a cake with the inscription "Love Wins, F-g" never quite passed the proverbial smell test. Whole Foods, the store which sold the cake in question, vehemently denied one of their employees defaced it and even presented video surveillance as evidence the pastor's claim was a hoax. In addition, the pastor in question was said to have been enduring financial troubles, thus the lawsuit he filed against Whole Foods was conveniently timed. Sure enough, the pastor's lawsuit has been dropped. The Austin pastor, who claimed he bought a cake with a homophobic slur written on it, is now dropping his lawsuit against Whole Foods. It’s been almost a month since an emotional Jordan Brown called a news conference at the Kaplan Law Firm to announce a lawsuit against the food chain. Brown said he ordered a cake with the words, “Love Wins” on it, but when he opened it, Brown claimed a homophobic word was added on top. In a statement issued Monday Brown admitted: "The company did nothing wrong. I was wrong to pursue this matter and use the media to perpetuate this story." Upon Brown choosing to sue Whole Foods initially, the company chose to counter sue almost immediately. However, in light of the latest developments, Whole Foods is also abandoning its suit. In a statement issued Monday, Whole Foods spokesperson Rachel Malish said: "We're very pleased that the truth has come to light. Given Mr. Brown's apology and public admission that his story was a complete fabrication, we see no reason to move forward with our counter suit to defend the integrity of our brand and team members." Business must really be bad for the "Gay-stappo" these days if they feel the need to fabricate evidence to show how the LGBT community is still allegedly being oppressed. - With Republican Congressman John Kline not seeking reelection in Minnesota's 2nd Congressional District, the MNGOP is looking for a candidate to oppose Democrat Angie Craig. Recently the CD2 Republicans voted to endorse former talk show host Jason Lewis, who defeated perpetual candidate David Gerson after several ballots. Two other GOP candidates, businesswoman Darlene Miller and former state Senator John Howe, received little to no votes for endorsement on the first ballot before choosing to withdraw from the process. Miller has said from the outset she would not abide by the party endorsement anyway and thus go straight to the GOP primary this summer. Howe was noncommittal....until Monday. On Monday, John Howe announced he is running in the primary. KSTP's Tom Hauser was the first to break the news last week. Howe was mayor of Red Wing and a former state senator. "I believe I am the most electable conservative candidate," Howe said. "I guarantee you no one is going to work harder. My experience as mayor helped me be a better senator, and being senator is going to help me be a better congressman." Howe had dropped out early on during the recent district endorsement convention. So in retrospect, the only purpose served by enduring several hours (and going through multiple ballots) at the endorsing convention was to eliminate just one of the four candidates (Gerson, who said he would abide by the party endorsement). Come to think of it, ousting the preferred candidate of the Ron Paul cabal may well have been worth the arduous process. - A relatively new phrase has been introduced recently into the American lexicon - "Cultural appropriation." I took to Wikipedia to gain a little more insight into this phenomenon. (T)he adoption or use of elements of one culture by members of a different culture. Cultural appropriation is seen by some as controversial, notably when elements of a minority culture are used by members of the cultural majority; this is seen as wrongfully oppressing the minority culture or stripping it of its group identity and intellectual property rights. One of the more newsworthy instances of "cultural appropriation" was a Caucasian male student being assaulted by a black student because he was donning dreadlocks. To me the concept of "cultural appropriation" is yet another ginned up, phony controversy in an effort to validate the existence of thumb-sucking "Social Justice Warriors." Recently in an interview with Salon, Daryl Hall, one half of perhaps the most successful pop duo ever in Hall and Oates, swiftly dismissed this idiotic concept. It was 75 years ago yesterday when Joe DiMaggio's record 56-game hitting streak began. Let's take a look at a June 1941 game where the Yankees hosted the St. Louis Browns. In that contest, Joltin' Joe's streak reached 36 games. This game was perhaps the one where DiMaggio's streak came closest to ending before it reached 56 straight games. DiMaggio was 0 for 3 when he came to the plate for what would likely be his final at bat of the game. Legend has it that Browns pitcher Bob Muncrief was ordered by manager Luke Sewell to walk DiMaggio intentionally. But Muncrief refused and ended up allowing a single, thus extending Joltin' Joe's hit streak to 36 games. I can't tell if its mid-May or early November given this latest Minnesota weather. Regardless, you can tune in to the Northern Alliance Radio Network this afternoon for my radio program The Closer. The 1-hour festivities begin at 2:00 Central Time. No guests scheduled, so I'll likely weigh in on the latest news from this past week. Such topics will include the soon-to-be wrapped up MN legislative session, Facebook allegedly suppressing news which was damaging to leftists, a heart warming story from my home area, etc. I've been saying for some time that I want to start indulging in more reading of books. As such, I've chosen to start with In the Arena. Pete Hegseth, who is a decorated Army vet, Fox News contributor, Minnesota native and a personal friend of mine, penned this fantastic read. It's very timely, as it encourages American citizens to become more active on behalf of their country and not apologize for American exceptionalism. The book title is a key phrase from a 1910 Teddy Roosevelt speech entitled "Citizenship in a Republic." Hegseth certainly knows of what he speaks. While having served as an officer in the Iraq war, Hegseth was one of few individuals willing to go on national news shows around 2005-2006 to defend the operation despite it being at its most unpopular. He went to toe-to-toe with insufferable MSNBC host Chris Matthews several times, with Pete rarely being able to finish a statement uninterrupted. Funny how Pete stopped receiving invites to appear on news shows when the troop surge in Iraq, which was first implemented in 2007, began to succeed. 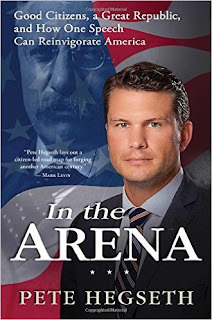 Anyhow, I highly recommend In the Arena, which is available on Amazon as well as any brick-and-mortar bookstores. - Facebook is headed up by snot-nosed progressives. Why should it be any shock that they would attempt to control "trending topics?" I had seen this story shared a lot on several social media sites, especially Facebook. I'm going to go out on a limb and guess this somehow avoided being a "trending topic." - Perhaps the most high profile 7th round draft pick in NFL history believes he should still be in the league. Two years ago, Michael Sam made history when he became the first openly gay man ever drafted by an NFL team. Now, in an interview on the Edge of Sports podcast with Dave Zirin, Sam says that decision is likely a reason he still hasn’t officially been signed to an NFL roster. “I think if I never would have came out, never would have said those words out to the public, I would still be currently in the NFL. But because of me saying those words, I think it could have played a huge part in my current situation,” he said. Even though the Rams ended up releasing Sam, the NFL allegedly called other teams in an attempt to persuade organizations to consider signing him. So it would appear the exact opposite of Sam's assertion is true. He didn't have the talent to be an NFL player but the only reason he was able to hang in for any extended period was due to his "coming out." - I love when a community comes together to aid fellow residents in times of trials, adversity or tragedy. The community where my wife and I currently reside did just that Tuesday evening. An Anoka County business is stepping up to help the children of a woman who was killed in a heart-wrenching episode of domestic violence, hoping to help them move forward after the unthinkable. Authorities say Courtney Monson was fatally shot April 22 by her husband Bryce, who then turned the gun on himself. The murder-suicide left four young children without a parent as they move forward. The incident left a community grasping at ways to help. Among those wanting to step forward was the McDonald's at 720 West Main Street in Anoka, owned by Kris Genck and her son Tim. On Tuesday May 10 the restaurant will stage a benefit from 5 to 8 p.m., donating at least 25 percent of all sales to a fund set up for the Monson children. The percentage of profits donated could actually increase, depending on the success of the event. As it turns out, the event was an enormous success. The manager of this McDonald's store owns eight franchises total, and the sales within the first half hour alone broke a record for all eight! The Florida Marlins were in the midst of their debut MLB season when they took on the New York Mets in July 1993. From May 1992 to July 1993, Mets pitcher Anthony Young lost 27 consecutive decisions (0-14 as a starter, 0-13 as a reliever), which is the longest losing streak in MLB history. That streak came to an end in that July 1993 contest against the Marlins when he recorded a win in relief. Happy Mother's Day to you awesome Moms out there. I'll understand if your not able to tune in live to today's edition of my radio show The Closer, but you'll definitely wanna check out the podcast. But in the event you are able to tune in live, the 1-hour blitz begins at 2:00 PM Central Time. Right at 2:00, I'll be joined by political wonk Matt Mackowiak. We'll likely take the lion's share of the time to discuss Donald Trump becoming the presumptive GOP nominee for President and where the party goes from here. 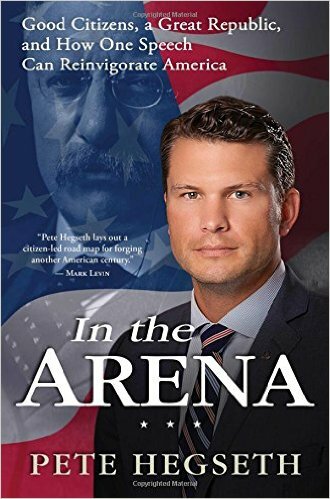 Then at 2:30, decorated Army vet/Fox News contributor/fellow Minnesotan Pete Hegseth will check in to promote his new book In The Arena. Even the Target Field groundskeepers are dismayed by the plight of our Minnesota Twins this season. For several months now I have been writing about my vehement opposition to Donald Trump becoming the Republican presidential nominee. I've gone so far as to say that I am in the "Never Trump" camp, which would imply that I will not support Trump under any circumstances, not even in the general election. So does this mean I would vote for Hillary Clinton for President? Uhhh, no. Not. A. Flippin'. Chance. I would not vote for a Democrat if someone literally (and I do mean literally) held a gun to my head while at my polling place. Of course the typical retort might be that "not voting for POTUS or a vote for a third party candidate is equivalent to a vote for Hillary." Well, I live in Minnesota. A Republican hasn't carried this state in a general election since Richard Nixon in 1972. That trend isn't likely to change in 2016, so my vote would be of little consequence regardless of whom I support. So here's where I am today. If the general election took place tomorrow, I would cast a vote in every political race except President. However, Election Day is a little more than six months from now. If Trump can actually give me something to work with, I will latch on to it and charge forward. For instance, the Supreme Court seat left vacant due to the death of Antonin Scalia. If Trump were to furnish a list of potential nominees in the motif of Scalia, I'd be sold! Yes, the Supreme Court is that important. And it would also go a long way to emphasizing on how the GOP needs to maintain its majority in the Senate. As of now, Trump being at the top of the ticket has put said majority in jeopardy. Trump has been saying for some time that once he's the official GOP nominee, he'll pivot to general election mode and start emitting a new tone. Hopefully that "new tone" includes a discernible agenda. Donald Trump easily won the Indiana Republican presidential primary Tuesday evening. It was his seventh consecutive primary win, six of which he earned more than 50% of the vote (he garnered 48% in Pennsylvania). As of late Tuesday, Trump had earned 51 of the 57 delegates in Indiana, putting him at 1,047 overall. With 445 delegates at stake in the remaining nine primaries, Trump now only needs 43% of said remaining delegates to bring his total count to the nomination clinching 1,237. With that in mind, I guess we shouldn't have been shocked by a certain announcement occurring soon after Trump clinched Indiana. Ted Cruz dropped out of the presidential race on Tuesday night, ending one of the best-organized campaigns of 2016 after a series of stinging defeats left Donald Trump as the only candidate capable of clinching the nomination outright. Cruz had appeared eager to go all the way to Cleveland to contest the Republican convention, but a string of massive losses in the Northeast and his subsequent defeat in Indiana convinced his team there was no way forward. From the start, Cruz has premised his candidacy on the idea that 2016 would be an election driven by resentment toward the established GOP order. It was a strategy that looked prescient as Cruz steadily rose in the polls throughout 2015 and broke into the top tier in Iowa in early 2016. But what Cruz did not expect is that he would be outmatched in outsider anger by Trump. Cruz had maintained a fragile truce with Trump all of last year, but by the time he turned on the front-runner, the Manhattan businessman had already captured the voters Cruz was hoping would fuel his candidacy. As he bowed out, Cruz did not even mention the presumptive nominee. "The challenges we face today remain as great as ever," Cruz told his supporters as he suspended the campaign. "Americans are deeply frustrated and desperately want to change the path that we're on." Now is the time for the pro-Trump crowd to make a declaration. Can he or can he not win the general election without support of the #NeverTrump coalition? His barking, clapping seals most staunch supporters seem split. By the way, if you're still saying you support Trump because he's "anti-establishment," you're lying to yourself. It's pretty clear from the developments over the past few weeks that the very establishment you allegedly decry helped Trump take out their biggest thorn --- Cruz. Also, there are already reports circulating that many seasoned GOP operatives (the very essence of "GOPe") are ready to hop aboard the "Trump Train." So Trump's vow to eradicate the "establishment" has been over-hyped, not to mention he will be routed in the general election by Hillary Clinton this November. And instead of getting the huuuuuuuge wall on the southern border, you Trumpkins will witness Madam President signing sweeping immigration reform which will likely include legalization for those illegal aliens living in the shadows. I will never forget how so many Trumpkins accused me of being "played" by the "GOPe" because apparently the Republican controlled Congress for which I staunchly advocated should have been able to coerce Obama into dramatically cutting spending as well as repeal his crown jewel legislation of health insurance reform. Turns out that Trumpkins accusing someone of being "played" is nothing more than classic projection. The Yankees-Red Sox rivalry was renewed this past weekend. With that, let's take a look at a Yanks-Sawx matchup from July 2004. Tune in to the May Day edition of the Northern Alliance Radio Network this afternoon. My 1-hour program The Closer kicks off at 2:00 Central Time. Right at 2:00, I welcome to the broadcast Minnesota Republican state legislative candidate (and fellow Harding High School alum) Tracy Nelson of Little Canada. Tracy is looking to represent House District 42B, which covers Little Canada, Vadnais Heights, Gem Lake and parts of Roseville & Shoreview. Then at 2:30, longtime friend of the broadcast Julia Erynn will check in. As Miss Minneapolis 2014, Julia's platform was titled Out of the Darkness and into the Light: Stopping Suicide with Prevention. Although she's no longer a titleholder, Julia is still a staunch advocate for suicide prevention. As such, she will come on to promote two May fundraisers related to her cause.